Last Sunday I worshipped at the Church of Woods and Water. The church is located on the upper reach of the Charles River. 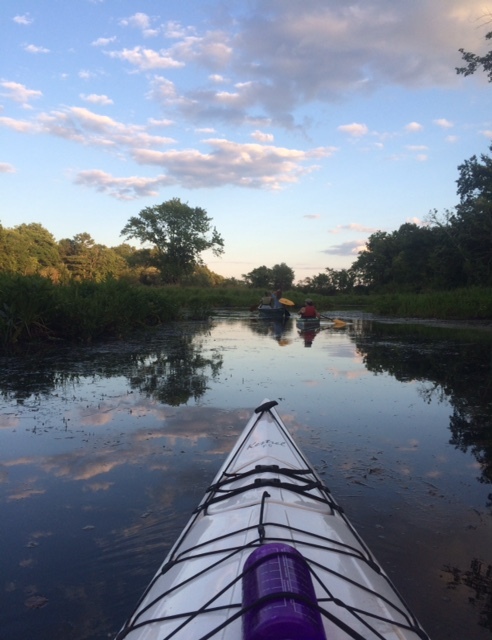 The Charles is a hard used, inspiring waterway which runs 80 miles from its headwaters in Hopkinton to the mouth of Boston harbor. The drainage is 312 square miles. For the last 40 plus years, since Richard Nixon (bless him) signed the Clean Water Act in 1972 and created the Environmental Protection Agency (EPA) the Charles along with a host of other rivers, once used as a toxic dumping ground, has gradually become cleaner. Insects, fish, birds and mammals have returned. The woods, water and soil have slowly healed. As a Christian, the theology of grace, restoration, resurrection come to mind. Sure there are elements of toxic metals that remain in the soil and silt. Points of pollution from fertilizer, to engine oil still find a way to the water. But the Charles and rivers like it are much cleaner than anyone thought possible before the Clean Water Act was signed. It is ironic, that Donald Trump is in the process of gutting the EPA by 30% and refers to Climate Change as a ‘hoax’. The Charles, this fragile waterway which has come so far, is at risk of returning to the toxic pre-Nixon era. That this newest Republican doesn’t respect the vision of his Republican predecessor is painful to see. But last Sunday I put my worries for the river’s future aside (if for a few hours). With my wife Tricia we slipped our kayaks into a stretch of the upper Charles and paddled upstream for several miles. There were few signs of other humans… a few canoes, a few houses, the muffled sound of a distant car. For the most part our companions were flowering dogwood trees, old growth white pine, maples, oaks, witch hazel. Birds were in full throat calling to mates, building nests. Beaver lodges stood as sentinels along the bank. As dusk approached we allowed the current to return us. We loaded our car, synched the ropes and left the river. Soon the Church of Woods and Water will call out to my soul. I’ll need to return to the woods and water to be restored, to be healed, to be blessed. Beautiful Kent. Thank you for continuing to inspire me. You are a wise, gently soul. Gloria, your a water and woods person too! Grateful to share the journey with you.